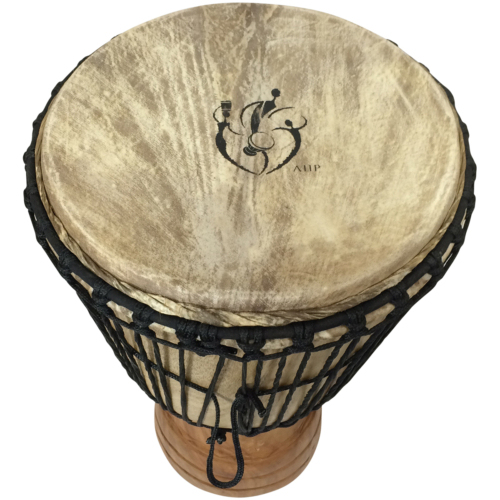 Our Drum Circle Djembe drums from Africa Heartwood Project are proudly made in Ghana by cultural artisans who have been building beginner djembes for export for over a decade. 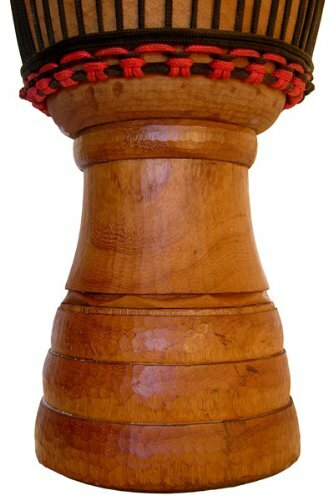 Each one is handcarved out of solid wood, headed with a natural goat skin, and decorated with a variety of exotic flavors. 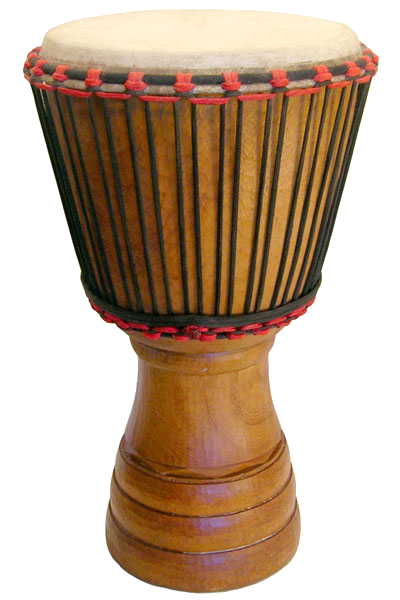 The Drum Circle Djembes are built for the recreational drummer on a budget who wants to get a musical-grade West African djembe at the lowest possible price. Available in two sizes: 11×22 and 13×24. 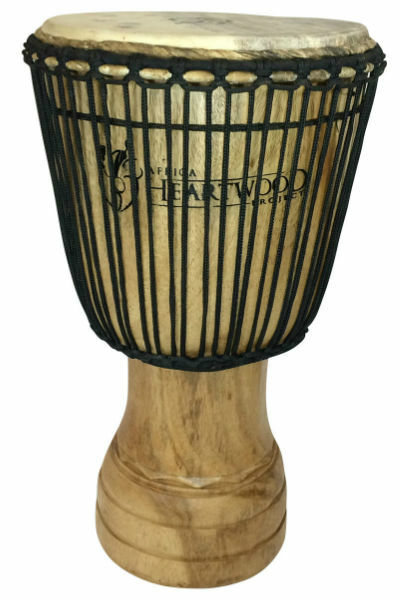 The Drum Circle Djembe by Africa Heartwood Project is designed to offer a budget drum for the beginner and student drummer whose priority is to get a playable djembe for the lowest possible price. 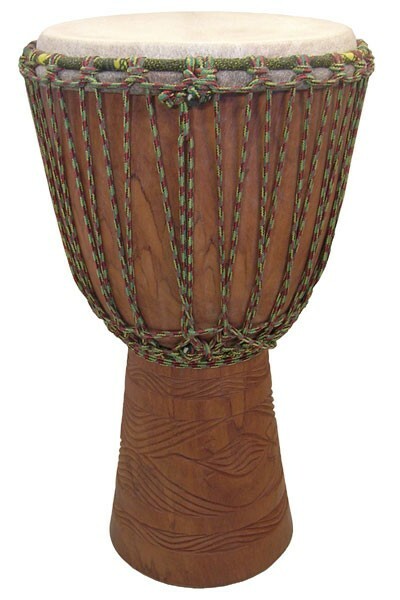 These are real djembes, handcarved in Ghana, and are suitable for a drummer who is interested in recreational rhythm making and beginning lessons. 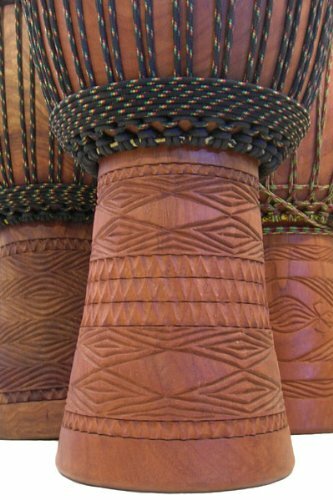 These drums are typical of what you would find at an open-air market in Ghana, are likely the type of drum-souvenir most tourists take home with them after a holiday in Africa, and is an improvement on most drums exported from Indonesia. 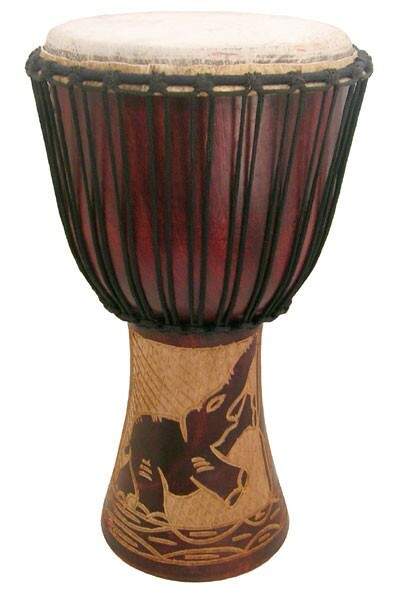 They tend to look exotic but lack some of the quality details that finer djembes built for technical drumming have.